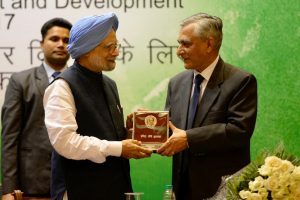 Former Chief Justice of India TS Thakur on Monday conferred Former Prime Minister Dr Manmohan Singh with Indira Gandhi Prize for Peace, Disarmament and Development, for 2017 at Jawahar Bhavan, New Delhi. 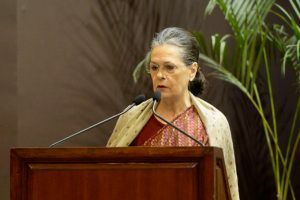 Speaking on the occasion Sonia Gandhi said, “Thirty-four years ago after Indira Gandhi laid down her life in defense of national integration and secularism, she continues to be a compelling personality. She is still remembered for her indomitable courage and her fierce commitment to India, our country founded on unity, not uniformity, rooted in inclusion, not exclusion, and sustained by harmony, not hate. Her contributions to the shaping of its history and the geography of our region are enduring. She gave new hope to the aspirations of the weaker sections of society. Even as she established India’s nuclear capabilities, she was a tireless campaigner for the abolition of nuclear weapons. Her leadership in facing military and political challenges in our neighborhood is legendary. She is forever associated with the Green Revolution that made India self-reliant in food grains. 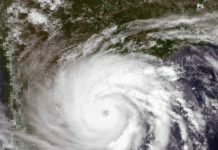 She was an ecological visionary and she left an indelible imprint both in India and abroad. India’s highly successful space programme was launched under her inspired leadership. It is impossible to mention more than just a handful of her achievements in the 16 years she was Prime Minister. One of her favourite quotations was something she had been told by her grandfather: ‘there are those who work and there are those who take credit. Try to be in the first group’. Indeed she was. This award instituted in her memory recognizes men, women and institutions from across the world whose work has exemplified the values Indira Gandhi espoused and the causes she championed. Today, we honour a man who worked very closely with her for almost a decade and a half, a man who was an Advisor on economic matters, to whom she turned to instinctively when the economy faced severe crises in the mid-seventies and early-eighties. Manmohan Singh went on to greater heights in the years to come. 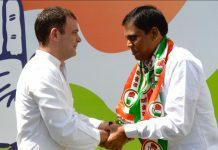 But it would not be an exaggeration to say that the foundations of his later success were laid in the Indira Gandhi years in the Ministries of Commerce and Finance, the Planning Commission and the Reserve Bank of India. Sonia further said that what more could she say about Manmohan Singh that all of you do not know already. He wears his learning lightly. He inspires trust. His decade-long Prime Ministerial tenure saw India record its highest economic growth rate ever and also saw the implementation of several rights-based legislations that gave deeper social meaning and significance to economic growth. Manmohan Singh became Prime Minister at a time when the country was on edge, when its collective nerves were frayed and when its secular fabric was under assault. Within months his persona and policies had a profound calming effect. The country once again had the assurance that the man at the very top was not a divisive person, that no group or individual need feel insecure. Over his tenure, he earned for India enhanced respect across the globe — not by seeking credit or kudos but by allowing his work to speak for itself. To say that Manmohan Singh richly deserves this accolade, the Indira Gandhi Prize for Peace, Disarmament and Development, is to make an understatement.